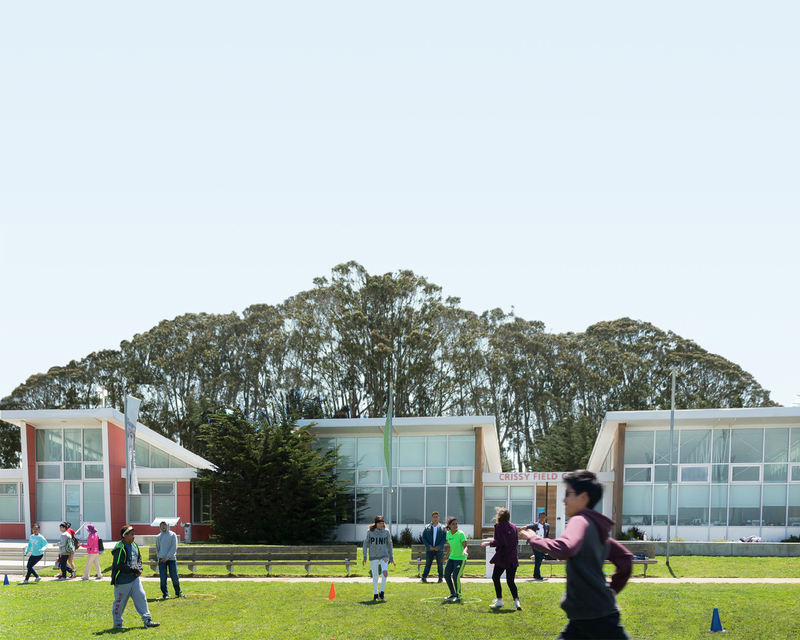 Crissy Field Center is a dynamic hub of youth engagement for the Golden Gate National Parks and a model program of the National Park Service. A dynamic hub of youth engagement for the Golden Gate National Parks, the Center is a model program of the National Park Service, the Presidio Trust, and the Golden Gate National Parks Conservancy. Crissy Field Center programs encourage new generations to become bold leaders for thriving parks, healthy communities, and a more environmentally just society. The Center’s state of the art, green education facility consists of classrooms, labs, and gathering spaces for youth enrolled in the Center’s camps, field trips, and programs. With a focus on engaging people who traditionally have had little—if any—access to national parks, the Center has developed strong partnerships with schools and community centers in underserved areas, providing a majority of its programming for free or at low cost. Nature Matters! Summer camps at Crissy Field Center taught my children how to love and appreciate nature. They explored our beautiful coastline and parks close to home and learned how important it is to take care of it. I love that it has opened their eyes and senses to their surroundings as nature conservators.